Hello, my name is Allan Lewis and I own and operate Vintage Car Connection. I have been working and playing with vintage cars for over 35 years and I have been providing detailed antique automobile appraisals to enthusiasts in the GTA and Central Ontario since 2003. I was motivated to enter the antique automobile appraisal profession by the huge discrepancy in the quality of reports being produced for the vintage car owners of Ontario. While there are many excellent appraisers operating throughout the province, there seems to be just as many whose work could be called into question. My own experiences include appraisers spending only a few minutes looking at my cars and receiving reports with details about parts they didn't even have installed. It is with this in mind that I strive to be completely thorough and accurate with every car I appraise. As a licensed member of The Professional Association of Vehicle Evaluators I have also agreed to be bound by their Code of Ethics when performing appraisals. Appraisals will be very detailed and reflect the true market value of the vehicles involved. It may be flattering to receive a report on your car with a value far beyond what you would ever expect to receive for the car if you sold it privately. However, it will not be so pleasant when your insurance company, in the event of a claim, challenges the appraised value which they had initially accepted. The Vintage Car Connection mandate is to ensure that, in the event of a claim (with proper OPCF 19A coverage), your settlement is sufficient enough to purchase a comparable replacement vehicle on the open market. A combination of current book values, market asking prices and auction results from across North America (or the world if need be) will be used to determine a value for your car. For custom and modified vehicles the cost to build the car will also be taken into account if necessary. 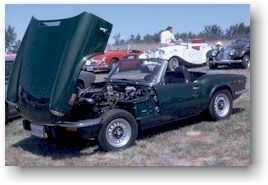 My own "fleet" includes a 1972 Triumph Spitfire, a 1972 MGB, a 1918 Chevrolet 490 Touring, a 1972 Mercedes-Benz 280SE 4.5, a 1983 Alfa Romeo GTV6, a 1970 Alfa Romeo 1750 GTV, a 1956 Studebaker Commander, a 1918 Sterling 2.5 ton truck and a 4-wheel drive 1989 BMW 325iX. 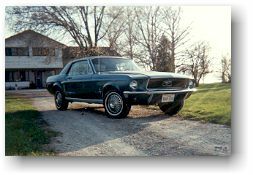 Cars that have passed through my hands include several first generation Mustangs, a 1969 Lincoln Continental sedan, an original paint 1967 Ford Custom and an original paint 1954 International pick-up, among others. I have no bias towards any make or model and I am comfortable completing appraisals on any vintage car.